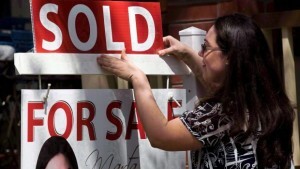 Resale home sales and prices in Toronto held firm in March. See the full March and historic stats below. March sales were a repeat of sales one year ago and average prices rose about $4000 from 12 months ago. New listings dropped by 2.5% to 15,576 total homes active for sale. New listings plummeted 5% to 13,996 units. The MLS® Home Price Index Composite Benchmark was up by 2.6 per cent year-over-year in March. The average price of a Toronto home is $788,335, average GTA condo is $560,000,and the average townhouse in the GTA will set you back $646,674. A lot of prospective buyers are on the sidelines. They believe the best time to buy is when the market crashes. That’s not likely this year. If Trump loses the 2020 election, then we could see the feared crash in many cities. TREB indicates there are still plenty of active buyers and there are reports of bidding wars on some properties. The Liberal government said they would resolve the housing crisis, and so far Doug Ford is not rectifying the high prices and lack of availability. It seems none of the current political parties are willing to resolve housing issues anywhere in Canada. Take a quick look at Vancouvers housing market. We all need to get more aggressive about anti-development sentiment. What is the end benefit of not permitting new housing, especially the “missing middle” type of home? If you look at the Montreal housing market, the best performing Canadian housing market, you see the benefit of optimism and erasing rules. Is it tax loss, greedy tax grabs, forcing people to live within the GTA boundaries, or the government’s belief the Ontario economy (consumer debt) is headed for disaster? Whatever drives the Ontario governments, it is not an optimistic view they have. 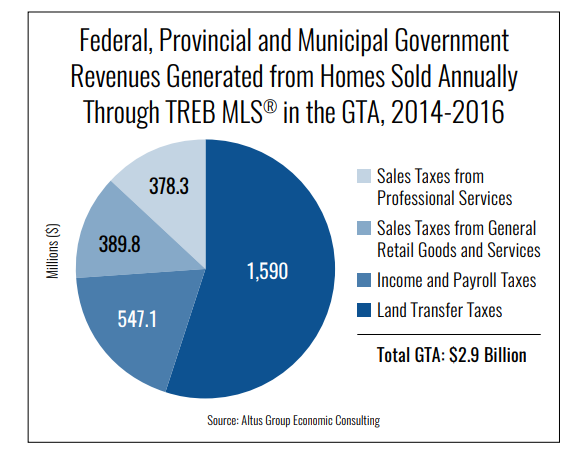 TREB keeps calling for the eradication of Federal, Provincial and municipal policies that make housing development impossible. Calling all investors “speculative, money laundering, law breakers” is an obvious attempt to suppress housing growth. The Ontario government’s new task force (yes, another one) will study the problem. John Tory is filling his lungs with hot air ready to defend the city’s tax greed (and pushing for $12 billion subway). The GTA market is still a big market and only the Montreal housing market has a chance to outperform the GTA housing market through 2020. Housing markets in Calgary and Vancouver are down significantly. However, the fall market is normally subdued, and buyers are likely waiting to see how the US elections pan out and whether the US housing market and economy will continue growing. Investors wants to know whether demand will continue or if this the end of the business cycle with the usual stock market crash or housing crash. It’s surprising how unruffled homeowner’s were in the GTA during the trade negotiations, however if you check out the city prices of each city below you can see who was panicking. Aurora, where Magna auto parts is headquartered saw detached home prices plummet $173,000 last month. In one month, in Toronto central where homes are most expensive, we saw an uncharacteristic drop of $111,000. Other districts saw rises so it could be those sellers bought in less expensive areas. See the district stats chart. Now that trade is resolved, we should prices continuing their relentless rise again, as sellers hang on for even higher profits and buyers more confident they can handle the big prices. Could it be any other way? There’s a lot of talk about rent controls in Toronto rental market, yet we know what damage that will do to housing development and contribute to even higher prices. With the economy improving, and a cessation of building in the GTA, rents will likely take a big jump by spring 2019. There are lots of reasons why homeowners won’t sell and number one is that they have no where to go. Toronto’s unemployment rate remains stubbornly high at 6.2%. The Bank of Canada slipped out a message that they may allow interest rates to rise faster which could weigh down sales this fall and perhaps moderate home prices. According to TD bank, new housing starts in Toronto in July dropped notably, down 16k to 40k units. In Ontario, urban new construction pulled back 35,000 to 66,000 units. Most new construction was condos. Estimates are that starts across Canada will drop to 200k, from about current 219,000. This looks to be a rosy estimate. 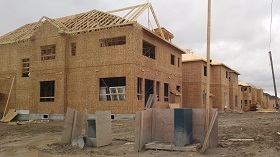 With new construction stopped, mortgage stress test, Ontario job losses, and Canadian economic uncertainty, demand for homes in the GTA should fall. However, in many parts of the city of Toronto, prices may not fall much. This graphic courtesy of Teranet house price index shows Toronto home prices have just about recovered from last year’s collapse, a significant psychological event. Jason Mercer, TREB’s Director of Market Analysis believes many prospective buyers in the GTA who were sitting on the sidelines have re-entered the market. See the full housing stats in this detailed report of the true picture of the Toronto real estate market. Please bookmark this page for the coming end of July update. Vancouver’s housing market is in free fall right now, what might be called a slow crash. It does make sense that Toronto’s market would soon begin the same fate given the factors that control sales. Given how strong demand in the GTA is, a Toronto housing crash is little outlandish. Despite issues related to the Federal government, the enormous unfulfilled demand for housing (i.e. affordable housing) will ensure prices can’t drop. While price growth has been mostly evident in the city of Toronto, other regions still have a long way to recover from 2017. The economic uncertainties of Ontario and Canada aren’t dampening buyer spirits. The much prophesized US housing crash and China housing crash haven’t happened either so maybe this spirit of optimism in Toronto will conquer all of the tariff strife? (Okay, Trump does love Tariffs). With NAFTA cancellations, US tariffs and retaliation by Canada, high consumer debt, oil flow blockages in BC, rising interest and mortgage rates, and tough lending rules it’s hard to predict price growth in the GTA. Should you consider selling your home? Absolutely. Is this the best time to buy a house or condo? Hard to say. It’s surprising how resilient the economy is given the threat of trade issues. If you’ve saved you money and can hang onto your job, 2019 might be the year you finally buy a home. A potential Toronto housing crash is something the IMF is concerned with too. Experts, consumers and home buyers seem to believe Canada and the US will work out a direct trade deal after NAFTA is cancelled. However, President Trump has stated his intention to revive the US auto industry and that’s why NAFTA must die. He complained about how our dairy industry is unfair too. Is our faith in a fair deal justified? With the Ontario economy highly dependent on the strength of auto manufacturing and a stagnant housing market (governments need the taxes) there’s some valid worry about 2019. Affordability is a big issue, but so is a housing crash due to job loss and consumer bankruptcy. Should you Call a Realtor and Sell Your Home? It’s a good time if you have a plan and somewhere to go. Try this to sell your house fast and for more. If Ontario’s economy should falter, a shaky GTA housing market could send it plummeting. The Canadian government hasn’t come up with a plan to stop investment money fleeing to “low tax” United States. The US economy and the US stock market and USD have all soared with Trump’s strategy. With the border blocked, there will be no reason to invest in Canada. Trudeau has refused to look at tax reductions. That has severe implications for the financial markets here. If not for the Toronto Condo market, the Toronto housing market would be very stressed? You’ve seen the same discouraging Toronto housing stats for many months now. Nothing new. York Region and Mississauga have been hit hard while the condo market is selling its last available units. Recent reports have it that the City of Toronto could face a $1.4 billion deficit, due to the loss of the lucrative land transfer taxes. Toronto’s starry eyed spending may have to be reeled in thus adding to a cascading recession threat. TREB has reiterated its belief that it’s the responsibility of government to foster a healthy housing market. Thus far, neither the Toronto or Ontario administration have solved the affordability or economic issues. Is this the best time to buy a house in Toronto? The answer to that may be yes. Prices keep rising despite governments attempt to throttle it. On June 7th, Ontarians will get their chance to speak. Selling your home in 2018? Should you sell your home and upgrade to a roomier one? Or perhaps you’ll be downsizing to a condo? Condo sales boomed in 2017 and you’ll be competing hard for anything under $600k. 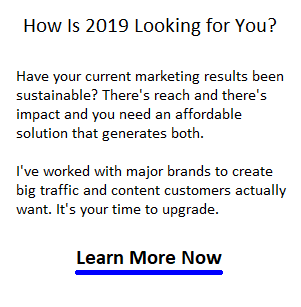 Your Realtor will likely have to work a sophisticated marketing strategy to help you get your house sold and get you moved into a better one. Are you a 25 to 35 year old first time buyer and hoping to buy a condo? Is this the best time to buy a home? See the Toronto condo market forecast for prices and opportunities. Is it a good time to buy a condo apartment in Toronto? Which are the best neighborhoods to buy one? Check the Toronto condo market page for insight. If you’re looking solely for home prices, then see the detailed running home price stats for each town and district. This post has a collection of videos, opinion, stats, charts, of historic sales/prices and current stats to help you with the decision of whether to buy or sell. The most meaningful Toronto housing market prediction: After a short depressed period this spring, there will be a fast growing increase lead by optimism with the new incoming Ontario government in July. The prediction is that the optimism of the new government will keep buyers and sellers optimistic until July. With immigration high (300k new Canadians each year), migrants from other parts of Canada increasing, birth rates up, and Ontarian’s expectations optimistic, 2018, 2019 and 2020 will see strong demand for most properties. 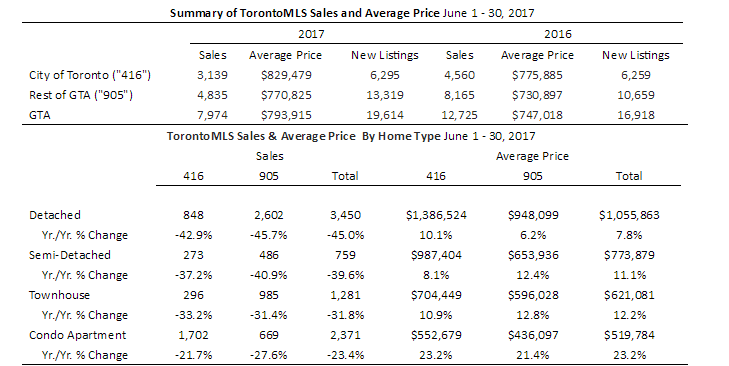 As you can see in the Toronto market stats below, some towns and districts in the GTA have seen very strong price growth. Teranet released its market report on July home prices in Toronto, Vancouver, Calgary and other Canadian cities. Price growth has abated yet home prices remain high and unaffordable. Check out the Vancouver and Calgary forecasts too as they reflect on Toronto (And Share on Facebook!). While the talk was about rocketing house prices in Toronto, the Toronto condo market is doing okay and the demand for new construction condos is still brisk. You can view the prices for each city and MLS district below. The upcoming mortgage changes in January means buyers are putting rush orders in now. Condos below $500k are selling well and will continue to do in 2018. The key for Realtors is helping buyers find an affordable condo, or a house with rental income potential. Some smart buyers are looking at financing solutions that give them a shot at rental income. Real estate investors in Toronto, Vancouver and even Calgary are focused on rental income investment properties. Find out more about the Toronto rental market. What is the most notable change? It would have to be Toronto condos. Sales dropped by 15% yet condo prices rose by 23% across the GTA. When the selection of lower priced condos are gone, we’ll see a renewed surge in prices as buyers hunt the luxury market to see what they can get. Rental prices are skyrocketing as rental apartments dry up because of the rental price controls. Rents were up 12% more in the 3rd quarter. How much further will Toronto condos climb in price and how long will voters, many of whom are home buying millennials with nowhere to go? Are you considering using a HELOC to do a house renovation? Considering buying or selling? Take a look at some of home buying tips and home pricing tips posts and this new post on the best renovations to grow the price of your house for sale. First Time buyers should remember that house prices always climb even through recessions as you’ll see in the graphics and housing data below. Buyers and sellers are wondering if the Toronto housing picture will mirror the Vancouver real estate forecast where Vancouver condos are king. Vancouver seems to have held its own which means the Toronto market might be safe too. Let’s not kid ourselves. A crash or a housing slide in Toronto remains a possibility (government). Consider this your most up to date report on the Toronto Real Estate Market – lots of food for thought below. Enjoy the monthly price charts below which may help you decide whether it’s time to sell your house. Also see the Mississauga real estate forecast if you’re out in Mississauga, Milton, Oakville or Brampton. New Fed mortgage rules and a higher mortgage rate means buyers will need more money down and be forced to pay higher mortgage payments. The OECD and the World Bank are constantly nattering about Canada’s housing issues. What are they seeing that we don’t? Most experts are calling for flat prices right through 2018, however there is still a lot of unsold new home inventory and governments are clear in their intent to suppress the housing market. Those considering putting up their houses for sale might be acting much sooner. When Will You Put up your House for Sale? Before it was all about finding a house for sale, and now there’s lots of houses for sale. It’s almost certain you’re going to get a much lower price for your GTA house in the next 4 months. As mentioned, the PCs will reconsider how the Liberal’s botched the housing crisis and how they might fix it. That will change the market psychology. As soon as you and other buyers have somehwere to go, you’ll be putting your home up for sale. If you get prepared this winter and spring, you might hit it right before your neighbors sell theirs. You’ll want to start reading my how to sell your home tips posts and a little on over asking bidding wars because even right now, multiple offers are still common. The Toronto situation seems to mirror the US housing forecast only with troublesome government meddling in TO. Experts suggest it is government action that causes the markets to suddenly slide out of control. Let’s start off with the Swiss Banks review. Is BNN’s “end of the housing boom” story valid? Does real estate drive employment in Canada? Trump and squashed Canadian exports represent a big worry. New MLS stats from TREB show sales in August dropped 34.8% year over year and the number of new listings on TREB’s MLS® System, at 11,523 which is 6.7 % lower than last year at his time. This is the fewest listings since 2010. Prices did decline yet are still higher than August of 2016, and did not decrease evenly in all TREB districts. While some areas such as the 905 have seen big drops, (houses are sitting and have to be rented now) areas in Toronto have maintained prices. These neighbourhoods offer a more reliable bet for sustainable property investment value. Many property investors have discovered the hard way, what the word sustainable means in bottom line dollar terms. Because of demand, two hot areas right now are rental property investment and student housing investment. Adding to the story this month is a higher loonie, higher mortgage rates, foreign buyer withdrawal, new tax on vacant homes, and homebuyers losing interest. And in response, homeowners make a desperate attempt to sell at lower home prices. Many of these Toronto neighbourhoods are in such strategic locations for employment, that given the housing shortage, urban intensification, poor transit and roadways, that the condos and homes in them will never see a significant price drop. The events of the last 3 months with the Liberal’s fair housing act was an acid test. These Toronto neighbourhoods look to be the best neighbourhoods for safe real estate investment. US investors should continue to follow the Toronto real estate market as the low Canadian dollar continues to create better real estate investment value. The Toronto Condo market in July on the other hand is active likely due to affordability. Condos are selling well at 2% to 6% over asking price and comprised 91% of all sales. New apartment and stacked townhouse sales grew 89% year over year, compared to a 72% drop in house sales. I suspect 2018 will bring moderation given the rhetoric around the NAFTA deal, tighter lending rules, higher loonie, and very high home prices. Almost everyone is interested in the direction of the housing market. It affects the GTA economy, jobs and business oulook. This page is updated frequently. What’s Compelling about the Toronto Housing Market? Toronto is a high value housing market similar to New York City or the Bay Area of California, and TO is a city destined to be a super city. It’s unlikely that a property purchase in Toronto will be a disappointment over the long run. If you see the Toronto home price charts, you’ll notice that prices have climbed in the last 18 months. So buyers have not lost their equity. And detached house prices will rise much further due to a severe housing shortage, improving economy, and rising population. Despite the Ontario government’s new foreign buyers tax threat, demand for housing won’t fall. As the loonie falls in value, Toronto home prices turn out to be reasonable internationally, and may be a worthy investment for rising wealthy Americans. Canadian real estate is still a good alternative to US Real Estate in 2018. While many buyers would like to live in Central Toronto, Oakville and Milton the prices in these cities is prohibitive. 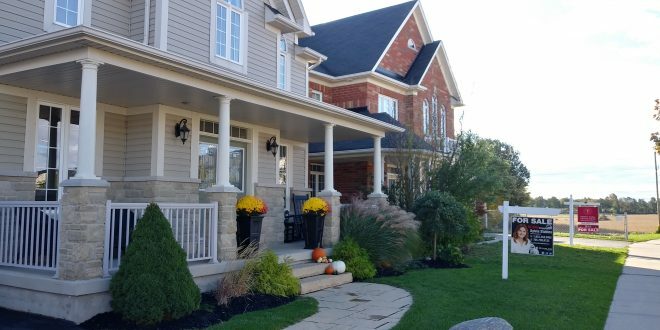 Instead, buyers are looking north to Vaughan, Newmarket, Aurora, Bradford, Barrie, Innisfil, and East Gwillimbury. Huge new housing developments in Bradford, Newmarket, Aurora, and Vaughan are still selling well, but the market in the 905 area code has cooled. That means bargains are waiting. Will 2017 Sales in Toronto be a New Record? 2016 was a record year for home sales in Toronto, Mississauga, Vaughan, Newmarket, Bradford and Aurora areas in 2017 could well be even more intense. TREB forecasted another strong year for home sales via the MLS®. Their outlook for the Toronto region was 100,000+ home sales for the third consecutive year. Between 104,500 and 115,500 home sales are expected in 2017, with a point forecast of 110,000. TREB’s districts include Mississauga, Oakville, Vaughan, Newmarket, Aurora, Richmond Hill, Markham Bradford, Scarborough, Brampton, Oshawa and Milton. But what drives the Toronto housing market? Will it succumb to the same fate as Vancouver or worse? If you’re a buyer, you’re wondering which neighbourhoods and towns to focus on and whether this market will tank. If you’re a seller, you’re wondering if you’re going to miss the biggest payday of your life by not selling. If you’re close to retirement, you may want to carefully review your choice not to sell. 2017 is a grand time for you to sell and move onto a better life. will the low dollar continue? will oil prices stay at current levels? 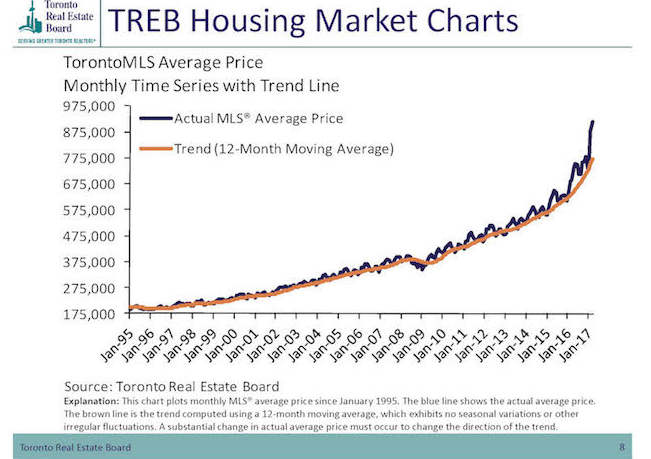 This graphic courtesy of TREBhome.com illustrates how hot Toronto homes prices had been for each type of housing. 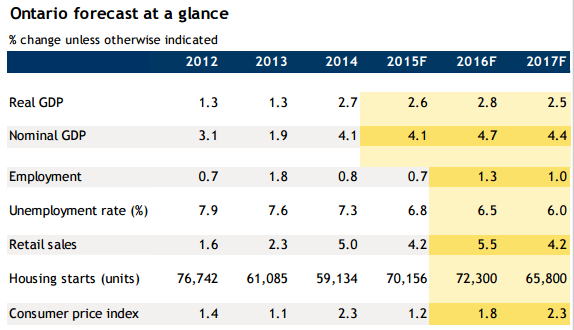 (See the Toronto Condo market outlook too). The Toronto real estate market is in a precarious state. Help your friends and contacts who may be wondering if now is the right time to sell, before the housing crash. You can get your price in 2018. How about the US? Different story for them. The US real estate market is ripe with opportunity with a minimal chance of a housing bubble or crash. And from this telling graphic above, the shocking rise and fall of detached home prices tells us something is wrong with the Toronto real estate market. Could a Toronto housing crash occur? The renegotiation of the NAFTA deal may be the factor that starts the slide. President Trump’s goal is US jobs and economic health and he’s already stated he wants a better deal with Canada. It makes sense that he would want auto makers and parts manufacturing to be done in the US. The Canadian dairy and lumber industries are just a distraction. Investment Rentals are Big Money — How About Rental Income Property? Are you going to buy rental income property as an investment in 2018? Check out cities in the US where there is a much better upside in profit. What do your realtor and local politicians say is happening in your local market in Toronto, Mississauga, Vaughan, Oakville, and York Region? What’s their forecast? I’d like to know. As we progress to 2019, emotions are going to run high as the critical factors you can read about below become intense. Could the Toronto economy collapse if home prices fall 20% (loss of taxes for governments among other fallout). Below is an updated look at the March real estate market in the GTA. Recent trends show home prices are rising faster than any experts predicted. Will this be the excuse the government is looking for to upend the market? Or is demand for single detached homes simply too strong? Are the all too predictable actions of governments in Vancouver and Toronto foretelling what may happen in US markets such as Los Angeles, New York, Miami, and San Francisco? Is the battle over and treatment of land in all major urban areas simply an artificial means of inflating real estate prices or is there actually a land crisis? Scarcity of land is the primary driver of high prices in the Toronto real estate market. The biggest threat is unwise government manipulation. BMO’s senior economist Benjamin Tal said in a Toronto Star report on October 14th, the Ontario Government’s Places to Grow program was primarily responsible for the fast rising prices in the GTA market. He also suggests other red tape factors worsened the situation. Prices in Newmarket, Markham, Mississauga, Richmond Hill, Bradford East Gwillimbury and Aurora have definitly crashed. If land scarcity is driving prices up, then even a 15% foreign buyers tax and new mortgage rules for millennial buyers may not be enough to cool demand for housing or condos. The real factor may be the next recession, fueled by housing market mismanagement. What are the Causes of High Home Prices in Toronto? Some point to the Ontario government’s Places to Grow intensification plan as the major culprit in skyrocketing single detached home prices. Toronto condo prices haven’t risen like house prices have, yet condo demand is usually not spoken much about. It does look like a growing population want house to live in. A growing millennial family would certainly find it tough to live in highrise condos designed for adult living. Share this post with your friends and clients. Everyone should know about the housing crisis factors and the economic spinoff from the Toronto Real Estate Market. It’s good and bad, but they should know the factors and help in the solution. They Said Toronto’s High Home Prices were Driven by Chinese Buyers? Looking back on 2017 is worthwhile. We get to see what politicians told us what the problem was (foreigners and speculation) and what the solution was. They failed (lied?) and now we know it was people in the GTA who just wanted to own their own home and have a roof over their head. Hardly the evil the government suggested. Can we ever trust what is said to us? Fully 10% of new condominiums built in central Toronto were going to foreign buyers, according to a survey released by the Canada Mortgage and Housing Corporation (CMHC). They stated the vast majority were mainland Chinese investors. TREB’s own survey found that foreign buyers actually had little effect on the market, and it was the chilling effect of the fair housing act that destroyed what was a healthy Toronto real estate market. Although Doug Ford originally promised to free up land, lower prices, and cut red tape, he quickly recanted. He has announced a new buck a beer program. A quick look at the US housing forecast and predictions for Los Angeles, San Francisco, Houston, Seattle, and Florida, tell you the US is hot. Check out forecasts for Boston, New York, Miami, and San Diego. Homebuyers are still willing to look beyond the green spaces belt, but they’ll look at Aurora, Bradford, Stouffville, and Newmarket first before heading north. What are your predictions for the fall housing market and economy in Toronto? Real estate leads for realtors in Los Angeles, Toronto, Montreal, San Diego, Phoenix, Denver, Seattle, Chicago, Boston, New York, Dallas, Houston, San Antonio, Austin, St Louis, Minneapolis, Green Bay, Charlotte, Tampa, Miami, Orlando, Vancouver, Montreal, Ottawa, Oshawa, Hamilton, Newmarket, Aurora, Richmond Hill, Calgary, Kelowna, Mississauga, Anaheim, Beverly Hills, Malibu, San Francisco, San Jose, and many more cities across North America.